I am writing this piece in a downtown café. Outside, folks pass by sporting shorts and flip-flops for what might be a final summer fling. It is a sunny 74 degrees. These carefree folk stroll and sip lattés under trees growing at city-planned intervals between streetlamps. In this block at least, the color of the trees’ abundant leaves range from the most verdant green to Yellow-Cab gold. Here is a picture that might be entitled—though not very cleverly–“Downtown, Late September Day.” Shabby working conditions, right? I am mesmerized by the splendor of the scene. I nod off into a late-summer reverie. I am thinking that it’s almost time to start covering the tomatoes. I start wondering whether I’m in shape for the Fall Series and whether the Broncos will be good enough to make the playoffs this season. I stare into my page and think, So, why am I writing a Christmas piece for the Long Run? Then it comes back to me. It is the sixth of November. The tomatoes are off the vine. I’ve elected to let someone else win the Fall Series this year (kidding, Logan Wealing). And the Broncos are—well, the Broncos. So what’s with all the leaves, the shorts and the flip-flops? They shouldn’t be here. But they are here, like they didn’t get the memo about packing it in for the year. By the time you read this piece, it will be December. And who knows what the weather will look like (like October, I venture to guess). But tell me, doesn’t it feel like just yesterday it was summer? Without taking sides in the global warming scrum, I will pronounce that we’ve had more than our share of lingering summers in the past decade. And few, I venture, have lollygagged like the past summer. Whether or not this spells doom for the ski industry, it makes the holidays feel like guests that–while always welcome–have rung our bells unfashionably early. If Christmas once had a way of creeping up on us, it now tip-toes through the sunflowers and takes us unawares in shirtsleeves sipping mojitos under tiki lamps. Those TV ads that boasted of “Christmas in July” were unconscious of their prescience. It’s all enough to make one feel—well, Australian (they have Christmas too, you know). But this is good for our December running, right? Warmer days. Less snow and ice. Fewer potholes. According to the Global Warming Interactive Simulation, Colorado runners should be enjoying 7.58 more outdoor running days a year. * December running has never been better. Right? Think again. When nature herself acts confused, you can bet we’ll act confused. The fair weather will undoubtedly have tricked us into falling off our ordinary holiday schedules–way off. So what do our behindhand December schedules look like? In a word (and I mean the expression literally), they look like decoratinguletidingbakingcraftingshoppingwrapping or some equally condensed, frenetic and unspeakable variation on that theme. (And by the way, my spellchecker just blew a gasket.) It is worth noting that running is nowhere to be found among the “ings” of my Greek loanword. Furthermore it doesn’t look like you can squeeze running in no matter how economical your handwriting (or pace) is. But running is a luxury, I hear the voice of Reason say. It can go on the back-burner for a month of—um, merriment. And with the voice of Reason, I respectfully disagree. Like a massage, running is something we need most when we have the least time for it. In the right measure and executed at the proper pace, running will leave us more alert and energized for December’s challenges. Like a teenager, I despise the word chore. It has negative connotations that reach far beyond drudgery and paltry–or in most cases, no–monetary reward. But sometimes there’s just no escaping the fact that we must do our chores. 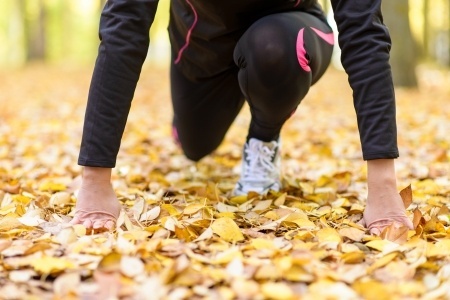 When I was a personal fitness trainer I used to–as a stop-gap measure–implore clients who were struggling with workouts to approach them as another one of the chores they wouldn’t think of shirking. The holiday season will come and go and we’ll still have taken out the trash, vacuumed the carpet, cleaned the car, gone to work, etc. We will have maintained our homes, cars and finances. Why not our physical–and mental–health? More than one wise person has held that our primary duty is to cultivate our minds and bodies, for these go with us everywhere, unlike our abodes and trappings, from which we often step away. And to my knowledge no wise person ever said a word about it being our primary duty to trim the tree and garnish the roast beast. So for a month, why not make running a chore—if you can’t make more of it, that is? Better than a discarded luxury. And besides, the more calories one burns the more holiday calories one can consume without penalty. Take that, voice of reason! 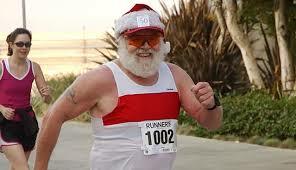 And if you’re wondering, the Holiday Goody to Fitness Event Conversion Table states that a single glass of eggnog is equivalent to the calories burned during an ultramarathon! Now take a second look at that word decoRatingUletidiNgbakiNgcraftINGshoppingwrapping. It’s the same as before. But this time try to form the word running from its letters. You’ll see that running was in there the whole time. You just have to look at it differently. So what do you say we put the figgy pudding on the backburner and promote running to its proper place. Or at least put it on our chore lists. On this perfect late-September Sunday I am gearing up for the next of countless long runs on the New Santa Fe Trail. The trail—if you don’t already know—cuts through the Air Force Academy on its way to Palmer Lake and points further north. To say that it is picturesque—especially when its ramblings steer you into perfect panoramas of Pikes Peak–is to say too little. Intoxicated by the abundant natural beauty of the setting and absorbed in the pain or pleasure of my runs, I often forget that I am on the grounds of one of America’s five service academies, nurseries of military leadership. But every so often I come over a rise and catch a glimpse of the Cadet Chapel or Falcon Stadium and I feel something in my throat . . . and it has nothing to do with dehydration or the gel I swallowed. Here is a metaphor for our lives. We dash or slog through them according to our style, distracted by pretty things and caught up in the striving. And we too seldom remember that we and our children enjoy our gleeful privileges under the stewardship of men and women who serve capably, freely and proudly. What comes as an epiphany to me is a given for our local veterans, who take every opportunity—and create a few too–to shine a light on the military service of men and women at home and abroad. I confess to being no military veteran, never mind that folks often mistake me for one today at 45. (A few years back when I was being pled with to run with ID, I chose a military-style dog tag. That and the clean-cut look often fools people, though I am not trying to cut any image of which I am undeserving.) As a teenager I spent an hour before an Army recruiter and an hour before a Marine recruiter. Then I defiantly decided my half-baked plans were better than anything they were serving up. I packed it off to college and pulled a multi-year stint as a liberal arts student and not-so-conscientious objector. And the closest I got to running was having a roommate on the track team. Looking back, I regret the uninformed martial stance, the uninterrupted bookishness, and the macaroni-and-cheese diet that left me soft, stooped and weak at 22, a condition I failed to remedy until my mid-30s. I wonder how differently my life would have been had I taken the road of service encouraged by my mother. To contemplate that would be to write a book—and I’m not a big fan of the alternative history genre. So I will just briefly consider how a career of service might have changed my running. For starters, a military career would have shown me the way to better discipline. I wonder how I could have improved—and still might improve–my running performance with something more than the willy-nilly approach to discipline and training that has had to serve me up to the present hour. While my discipline is serviceable on calm, sunny days, it balks at the mention of snow, rain, darkness, cold, headwinds, the track and the morning dew. You might call my discipline a fair-weather friend and not the kind you would trust to have your back in the trenches. Secondly, had I done my tour of duty I might have learned the value of helping and being helped (in a word, teamwork) through the accountability and synergism of running with, say, a platoon. I recently spoke to a retired Marine—an infantryman–at my gym. Still fit at 50, he contentedly recounted his experience of running a minimum of three miles daily with his platoon. They even ran aboard an aircraft carrier. How’s that for running on a business trip! It is no accident that we try to mimic the effects of a military cadence—think “I don’t know but I’ve been told…” and “Sound Off!”–with the up-tempo songs on our iPods. Still, our iPods don’t kick us it the rear when we are dragging, shame us when we set our expectations too low, or buy us that beer when we smash a goal. A good friend of mine never fails to extend a heartfelt thank-you every time she encounters a person in uniform (firefighters and police officers included). In a city of service she is kept busy with gratitude. On my next long run through the Air Force Academy the very least I can do is turn off the electronic cadence and stop to observe a moment of silence…and then muster the self-discipline to finish the thing for our service men and women. And if anyone wants to buy me a Guinness at Jack Quinn’s afterward, I won’t refuse. I return a dose of unfounded incredulity (apparently it runs in the family). “Bears?” I say dismissively. “Maybe in Alaska.” To me wild bears are mythical creatures. To date I’ve seen as many wild bears as I have human-alien hybrids: zilch. If I hadn’t seen bears at the zoo, I’d swear the whole bear lore was a hoax. I can’t tell you how many times some saucer-eyed runner has warned me off a trail because a bear had just scared the [insert your noun here] out of him. I am never daunted. Always foolhardy, I venture where folks with better sense dare not go. I secretly—not so secretly now–hope for an encounter. A benign encounter, mind you. And, as always, it ends up being just me and the empty spaces. With me, every purported encounter holds as much water as a “bigfoot” sighting. I’m a veteran runner (and camper) who has logged his share of time on mountain trails and in alpine meadows. Darn it, I’ve earned my sighting! And yet there are Circuit City clerks who have seen more bears than I have (remember that story?) To think that some kid shelving Blue Rays was granted the encounter I’ve been denied is a cruel piece of irony. God has a confounding sense of humor. Were my friend John to read this, he would shake a finger at me and warn me to be careful what I wish for. John had his encounter (and not while in the market for electronics). And his wasn’t exactly a benign encounter. Before I say more I’ll say that John is as honest as your conscience wired to a polygraph machine. And his flair for the dramatic rarely reaches the pitch of a single exclamation mark. John doesn’t cry wolf–or bear—or anything. So when an uncharacteristically emotive John called me one night a couple of years ago I listened. And I believed. Here’s the story John related. He went for a run in Eldorado Canyon near Boulder. A few miles in he was met by a ghostly-white runner moving rapidly in the opposite direction and aggressively imploring him to turn on his heels and run for it. John, being quicker on the uptake than I, complied. And good thing he did. 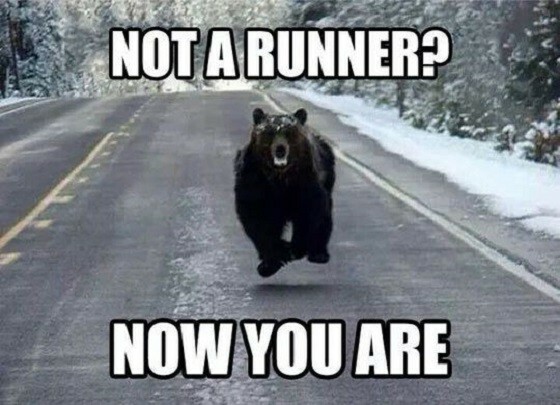 Within seconds a grunting, testy bear was running the two runners down. Sensing the futility of outdistancing the bear on a well-trammeled trail they ducked into the forest (a suspect move when one considers the advantages a woodland creature might have in . . .um, the woods, but one I might’ve made in a panic). In the ensuing scramble, John’s informant twisted his ankle badly, forcing the two to turn and face their aggressor. A stand-off ensued. Pawing the ground, the bear circled their position. No amount of hurled rocks and sticks could persuade the bear to disengage. As the standoff dragged, dusk was approaching. The bear showed no signs of relenting. In a desperate move to avoid adding darkness to the bear’s advantage John parted company with his hapless new friend (I don’t think John ever had time for such niceties as learning his name) and bolted for it. Amazingly the bear held his position, allowing John to escape, find the trail, and eventually recruit a posse of local firemen. John’s, his friend’s, and the bear’s story ended well. Cooler heads prevailed and the bear backed down and slunk off into the woods. John’s harrowing adventure is surely rare but with the scariest time of the year upon us we should remember that even a routine run can turn scary. When running (especially trails) be aware, run with a friend (canine or human), and heed warnings. And enjoy! Maybe it’s time to start wearing that bear bell mom gave me for Christmas. I ordinarily resist drawing analogies from so thin a thread as a single homonym. Take the following word with one sound and two (actually several) meanings: fall. There is the season fall. And there is a fall from a higher to a lower state. It doesn’t take an etymologist to understand how very different these words are. No self-respecting writer would make much of the connection. I thought of the word fall. I thought of drawing an analogy between its diverse meanings. I was briefly embarrassed at my thought. And so I moved on. At least I tried to move on. Until the analogy recommended itself in terms of my laughable martial arts foray (or should I say folly?) and the practice of fall detraining. I couldn’t resist. The term fall detraining will no doubt elicit envious snickers from more than a few readers. For the high school and collegiate cross-country runner, his or her time to shine is September and October: the heart of cross-country season. And marathon runners routinely train and taper well into autumn in quest of a 26.2 mile PR time. To a considerable extent, this reaction is healthy, anticipating the plan of nature herself, which soon enough will denude her trees of fruit and leaves and lead her fauna in an ever-slowing metabolic dance. We need only think an instant about the word recreationto notice that it contains the word recreate, whose meaning is to refresh. And recreate and refresh we runners must. And no less than nature. But certainly we need to recreate no more than nature. And on no more aggressive a plan. What a perfect pacer nature is. She begins the winter work in August when diminishing daylight becomes perceptible in marginally cooling temperatures and that gloaming start to the 6 am run. She begins her work in no particular hurry and seems, like a negative-splitter, to pour it on in the home stretch as autumn falls under winter’s sway. We do not find nature’s streams and rivers one day bubbling and flower-rimmed and the next day thick with ice and the detritus of summer glories. The plan of nature is a plan of gradualism, whether she is gearing down for winter or revving up for summer. And if we are going to join in her dance then we ought to pay attention to her footwork. We should match her step for step. This means that we should not let our star fall too quickly. And most of all we should not forget that nature does not let her domains go to waste in winter. No winter—even in Colorado–was ever so forsaken as Narnia under a curse (or even as cold, Mark Twain might quip, as a summer in San Francisco). We needn’t be naturalists to understand that vital processes and even a good deal of growth take place while nature is in her winter slumbers and that though she sometimes assumes the appearance of the dead the breath of life is ever present in her steady, easy respiration. She does not repair by ceasing all operations. She keeps her domains in a state of healthful readiness for easy marshalling in March. And so we must follow suit. 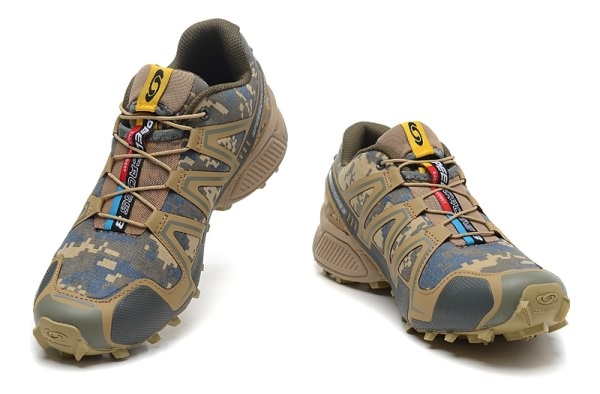 Our Brooks and New Balances, while accumulating mileage at a gradually slower rate must not, beginning in September, be relegated to the nether regions of our closets under the flip-flops. And throughout the season (we are jumping ahead) when white and bare describe the ground and trees, the pages in the latter third of our running logs must be anything but white and bare. They should continue to tell an uninterrupted story, one with a different narrative pacing, it is true, but a story with color and purpose nevertheless. One of the first—indeed, one of the only—things I learned from my martial arts experience is that there is a right and a wrong way to fall down. A bad fall—one resulting in too abrupt a letdown and a complete discontinuance of motion–and one may have difficulty springing back into action. The key to falling down properly is to remain in motion throughout the fall (and it doesn’t hurt to have an appreciation of slapstick either). Falling down is an art. If I learned nothing about the martial arts from my Sensei (my fault), at least I learned something about running. Textbook form. You’ve heard the expression. If you’re one of the lucky ones, you embody it. But odds are you’re not so lucky. So how important is it, really? Very important, if you read the running books; not only does it decrease the risk of injury, but it leads to improved performance. Yet observe any high-profile race from the sidelines, and you’ll get the feeling that a lot of great runners aren’t doing their homework. For every example of textbook form among elites, there seems to be at least three examples of—how shall I put it?–more vernacular form. I’ve watched, like a kid peering into a candy store, the elites at the Bolder Boulder. Short striders. Long striders. Heel strikers. Toe runners. A lot of spitting. Oh, and it goes without saying, a lot of flat-out jaw-dropping fast times. 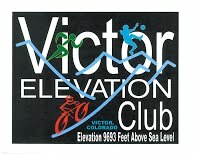 I saw elites wearing expressions more befitting of a soak in a Swedish bath—while stringing together sub-5 minute miles! I saw others who looked like they were passing a kidney stone—through their airways. I saw some with the focus of a petawatt laser. And I saw others with distracted, far-away looks, like their minds were running on a calculus problem. So what can one take away from the viewing of such a motley parade of world class humanity?—aside from pangs of inadequacy? As I took in the gamut of running styles on display at Folsom Field, a few axioms suggested themselves. To thine own self be true. There’s more than one way to skin a cat. Different strokes for different folks. But what came most to mind was relief. You see, I’d been working at correcting my own reproachable form for years. It was my version of finishing school. I choose treadmills in sight of mirrors, so that, with governess sense, I might right my ailing form whenever the urge to be human overtook me. When I wasn’t analyzing my gait, I was counting footfalls per minute. While trying to steer my leaky raft between the Charybdis and Scallya of impeccable form, there was the bugbear of belly breathing to do battle with. The Ps and Qs of the foot strike hadn’t even been added to the curriculum. I was like the king—mentioned in Thoreau—who set himself on a course of correcting his faults, but couldn’t find the end of them. And while trying, my performance faltered and my running had become joyless, as learning becomes joyless under the tutelage of pedants and ruler-wielding nuns. Was it worth it to cross a finish line with first-lap form and a look of tranquility on my face, if I crossed that line a minute later than with stooping and grunting form? Some, who always stand on form, will say yes. I say no. I remember the joy I felt when I PRd in the 5k. With abandon, I had burst from the gates, flying in the face of negative-split wisdom. By mile two I was rattling apart and red-lining like SpaceShipOne puncturing the ionosphere. My forward tilt was teetering on a topple. My arms were beating a front crawl in a wave pool (where the only waves were those of my gathering nausea). My hands were convulsively clutching at the grail of personal glory. The textbook was in tatters. The only book that mattered now was the record book. The Conservation of Energy—that weighty tome–had been ditched for a page-turner named the Call of the Wild. The Book of Numbers had trumped the Book of Judges. Stand on form? Or stand on the winners’ platform? Ultramathoner Dean Karnazes said it well in this paean to his junior high coach: “Coach’s approach to running didn’t come out of any textbook; he simply instructed us to run as fast as we could until we crossed the finish line.“ That’s what I call street smarts.